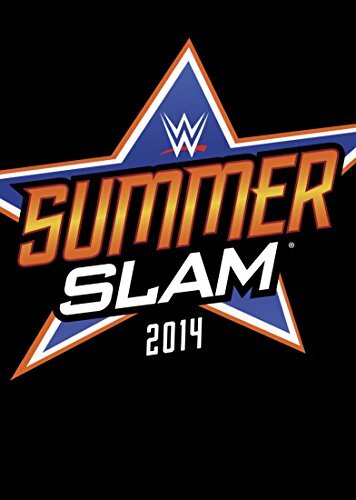 Tonight, the biggest event of the WWE summer schedule takes place with the 27th annual Summerslam from Los Angeles. Yes, the event will be available on the WWE Network for what price? $9.99. Get ready, you will probably hear that a ton come tommorow night & into Monday Night Raw. Figured it would be time to talk about where I see each match going through the entire card & what could be the future direction of the programs that are happening right now & into the WWE Night of Champions card in September. Also on the WWE Network – for $9.99. Overall, this is a very critical card for the WWE in the sense that its the first big pay-per-view where the WWE Network is available worldwide & where the new financial position of the company really begins to take shape. Its no secret that the company has been cutting back big time, which the internet wrestling community gets all in arms about, but is no different than any other company on Earth. WWE’s TV deal didn’t end up the way they believed so cuts have to be made. The company will bounce back, the performers will be back to where they normally are used to be & that will be that. However, Summerslam is the #2 pay-per-view of the calendar year & with all of the pub that goes along with being in Los Angeles at the Staples Center, it has to step up. Summerslam 2014 will be available on the WWE Network tommorow night for the price of – wait for it – $9.99. The storylines have actually been very well put together going into the card, from the surprising success of the Brie Bella/Stephanie McMahon feud all the way to John Cena vs Brock Lesnar, even with both men not being on Raw very much because of Cena’s filming schedule & with Lesnar having a limited amount of dates in his contract to work with. The company has had some compelling writing over the last few weeks to compensate for the lack of incredible pyro & such. They have kept the attention on the action & the storylines, which is the idea of professional wrestling & sports entertainment in the first place. While this Summerslam is a bit of a top-heavy card, the mid-card matches have the ability to be true show stoppers as well. With that said, here is the DraftKingsMaster breakdown & preview/predictions for Summerslam 2014. Dolph Ziggler vs The Miz – WWE Intercontinental Championship. This match should most likely be the opener & according to many publications including Bleacher Report, it is the opener. Both of these guys desperately need wins, especially Ziggler, who for some reason the WWE has been hellbent on burying for the longest time. Ziggler is clearly one of the top 5, if not the best worker in the entire company & if the higher ups at WWE can’t see that, that is a sign of bad booking or talent evaluation. Its time for Dolph Ziggler to get back in the WWE Championship picture & a win & an Intercontinental Championship reign should do just that. The Miz needs the win as well because of the probable push for his new Marine movie that should be debuting later this year or early next year. Miz hasn’t had much sizzle since he has gotten back into full-time competition & his return & subsequent push was quickly destroyed on the night that Chris Jericho came back & gave him the codebreaker, as well as a pushbreaker right in the middle of the ring. I am going to go with Ziggler on this one. It would be a great way to get the live crowd going & the WWE has shown that Ziggler may be out of the doghouse at some point soon because of how he has been booked on live events, has he has a couple of victories over Randy Orton – clean. Having Zigger go over & have a 5-star match in the process will really set the tone for the rest of the evening & get the crowd going early. Plus, its just time. Ziggler was the unfortunate recipient of a nasty concussion from Jack Swagger last year that killed off his World Heavyweight Championship push & reign & its time to move Dolph back to near the top of the card. This has been an interesting feud, but for many wrong reasons. This was the feud that was completely lost in the entire Stephanie McMahon/Brie Bella & Cena/Lesnar & Ambrose/Rollins/Authority situations. Both of these guys are outstanding on the microphone, but their first big match at Money In The Bank didn’t live up to the hype going in. It seemed as though there wasn’t a true connection there, which is rough for Wyatt. Bray Wyatt has become one of the greatest men on the microphone in the history of the WWE, but he has to have a phenomenal match on Sunday against Chris Jericho for the WWE to continue to believe in him. WWE officials have to really watch this match closely because ever since the Royal Rumble, where Wyatt had an amazing match with Daniel Bryan, Wyatt’s in-ring matches haven’t been the best, even though he has an amazing ability to promote a match with his verbal skills. For Wyatt’s career, he needs a big time match here & he & Jericho need time to really be able to tell the story, which I think WWE will allow them. For Jericho, he has nothing to prove at all in his career. His job in the WWE at this point is to put over the younger talent & to push ahead the future of the WWE as a whole, which I see him doing exactly. The promos from both men have been great, but this means far more to Wyatt than it does Jericho, which is why Wyatt will get the win, to tie the series at 1-1 & then have Wyatt win the rubber match either at Night of Champions or at a Raw show, considering that Jericho doesn’t have much time before he goes back on the road with his band, Fozzy. This has the potential to be one of the most interesting matches on the card, depending on if Rusev can bring it on his first major WWE event. The build for this started off great, but fizzled off when the Russia/Ukraine situation came in & it took away mic time from Lana, who has been incredible in terms of her looks & her ability to really put over Rusev as the Russian (Bulgarian) monster. Come on, you know you don’t watch this Rusev/Swagger feud for any other reason but to see Lana. Jack Swagger has been excellent in keeping his mouth shut & let Zeb Colter do all of the work in terms of hyping up the United States flag & being strong. The match has the ability to be a nice, quick brawl & it could honestly go either way. I think the company will side with Rusev because of the push of the NXT stars to be dominant in the WWE & to represent the future of the company. Swagger is a great performer, but his overall lack of charisma keeps him from having the big pushes that he needs to go to that next level, even though he is a former world champion. WWE has much more room to get more out of the Russian sympathizer angle as that can work with many top stars as Rusev continues to get better in the ring & his work rate gets better. I think they may try to get one more match out of this at Night of Champions, but for Summerslam, I see Rusev handling the business & giving us more chances to look at Lana. If all goes as well as set up & meets WWE expectations, this is a feud that in-ring wise, could be as good as Trish Stratus vs Lita from the mid 2000s. Both of these women are very strong in the ring, even though their Money In The Bank match wasn’t the best according to the internet wrestling community, who sometimes doesn’t know a good match if it walked up & farted in their face. The match at MITB wasn’t the greatest, but it was definitely very good & both women have room for improvement with each other. A.J. Lee has kept her good standing in WWE circles, even after all of the issues the company has with her husband, C.M. Punk. While Paige should be the one to go over in this match, I believe it will be A.J. Lee. Vince McMahon is a huge A.J. fan, even though she is married to C.M. Punk, who walked out on the company earlier this year. I believe that A.J. & Paige will have another match after this but Lee will end up having a feud with one of the Bella Twins down the line. Paige may need more time in NXT after his angle with A.J Lee, possibly not because of anything she is doing wrong, but because it is a bit crowded in the Divas division right now & she may be the odd person out for a minute. For some reason, McMahon is down on Paige’s gimmick & her speaking style in the ring. The storyline about them being “friends” or “friendnemies” or whatever is absolutely stupid, but these are two ladies who have the ability to overcome this. I sincerely hope that Paige is the Divas champion going out of Summerslam, but I think WWE is going to go with their opinion of the best worker on the roster in A.J. Lee, especially with Charlotte coming up to the roster soon from NXT. I think if the A.J/Paige situation doesn’t continue, A.J. will transition into working with Charlotte, which could be more interesting due to Charlotte’s height & size advantage over Lee. I have a feeling Paige might be back on NXT before you know it, which actually might be the best thing for her in her career right now. Going into this match, I had my doubts about who would be winning this, but after finding out that Ambrose will be working as the lead in a new WWE films movie, the answer will be pretty simple – Seth Rollins. Rollins has been the guy who has been the focus of the Money In The Bank briefcase as he has the briefcase right now. With Ambrose leaving for a bit, the match will be one of the best of the night & should be a show stealer, but at the end of the day, Ambrose really shouldn’t go over since he will leave for a bit. Seth Rollins should win through somehow the Authority will all be bought off to beat up on Ambrose & Rollins gets a cheap win. Not much else to put here. Randy Orton has been at the top of the card all year long, but really hasn’t meant a ton in the storylines, outside of random Raw episodes where they will remind us that he is a mean “viper” snake, apparently. Orton needs to have a big time performance just to make the WWE fans care about him again. As for Reigns, he is being groomed to be the guy for the future & to possibly have a big night at Wrestlemania 31 in Santa Clara, but right now, he has work to do in terms of his promo style & just showing more of his overall personality style in the ring. Reigns has the look & in-ring skills to be a main event player in the future, but both guys have been just………….blah through this whole angle. I see Reigns going over here, & Triple H giving Randy Orton some flak that he couldn’t get the job done at all & couldn’t get the job done during the time in Evolution, which would bring back Batista & get Orton & Batista into a feud that was supposed to be the main event of Wrestlemania 30 before the rise of Daniel Bryan was so large & WWE had no choice but to put Bryan in that spot. As weird as this may be to say, this is the hottest feud going in the WWE right now. The company has done a fabulous job of building this up slowly, but swiftly, with the arrest of Stephanie & now having the cheating angle going with the physical therapist. WWE has clearly invested big money in performers who they knew they could get some great attitude & action out of. At the same time, they have managed to keep Daniel Bryan relevant to the WWE Universe so when he comes back, he has something to work with immediately. Stephanie McMahon goes up against Brie Bella at WWE Summerslam. This match is not about anything concerning the action, it will be a decent match because both women are very athletic, but the key to all of this will be what happens when the WWE turns Nikki Bella heel against Brie. This has been playing up for the longest time now & of course, Stephanie is not going to be a regular performer in the ring by no stretch of the imagination. This will be much more entertainment than actual ring work, but at or near the top of the card, that’s not a bad thing at all. Its what the fans absolutely want. Stephanie & the Authority will win due to needing to get the Brie Bella/Nikki Bella feud going into Night of Champions. Brie Bella may be getting ready for a feud against her sister, Nikki Bella, after Summerslam is over. Nikki Bella should be playing a big role in Brie losing to Stephanie at Summerslam, as a heel turn has been teased for a while. This match has been one of the very well hyped matches, & most of it has been done without having both men together in the same arena most times. Paul Heyman needs to get tons of credit for how this has been built up & what has been done to draw people into the building for this event. While this feud may continue into Night of Champions, I can easily see Lesnar going over here, especially because of the 12-year anniversary of Lesnar winning his first WWE Championship at Summerslam 2002 when he defeated the Rock. Having the WWE Championship could allow Lesnar to either drop it again to Cena at Night of Champions in a big-time rematch that would draw many subscriptions to the WWE Network, or have Lesnar get the win & allow the WWE Championship to be the holy grail while Lesnar makes sporadic appearances until Wrestlemania season when you would have either Lesnar vs Rock or Lesnar vs Reigns for the Championship in the main event. This should go to Lesnar, & just set the internet wrestling community a blaze. Also, during the card, I believe we will hear a big announcement about the Monday Night War show on the WWE Network. The company has said that it would debut this month & it would make the most sense to have a premiere date set on the biggest summer event that WWE has.